Transmitter range assignment in clustered wireless networks is the bottleneck of the balance between energy conservation and the connectivity to deliver data to the sink or gateway node. The aim of this research is to optimize the energy consumption through reducing the transmission ranges of the nodes, while maintaining high probability to have end-to-end connectivity to the network’s data sink. We modified the approach given in  to achieve more than 25% power saving through reducing cluster head (CH) transmission range of the backbone nodes in a multihop wireless sensor network with ensuring at least 95% end-to-end connectivity probability. Wireless sensor networks, wireless ad hoc networks, clustering, transmission range, connectivity. In the literature follow, clustering mechanism in wireless networks means dividing network’s nodes into groups which are called clusters. Each cluster has a single cluster head (CH) which collects and summarizes data flow from ordinary cluster’s nodes and forwards it to the Gateway nodes which are shared between two or more clusters. The main advantages of clustering in wireless sensor networks (WSN) are: reducing traffic volume of data flows by forming the CH-backbone; making the network topology more simple; and alleviating overhead, collision, interference and traffic congestion . Ordinary nodes in clusters elect their CHs via CH candidacy announcements performed by each node according to a probability scale which is computed by individual nodes and it considers the effect of hop distances to the sink on the relative traffic loads at different locations of the network [3-5]. In clustering protocols, the main aim is the successful delivery of network data to the gateway. However, there are two main related concepts. If the transmission range of CH-to-CH is too short (not long enough), it will drain low transmission power, but leads to network partitioning in which some CHs cannot communicate, and hence causes failure of data delivery process to the gateway . On the other hand, if the transmission range of CH-to-CH is too long (not short enough), it will ensure the successful delivery of network data to the gateway, but requires high transmission power and difficult modulation schemes . These two concepts require a tradeoff for the transmission rang so that the range should be short enough to save energy and avoid high costs of data transmission and long enough to ensure no splitting of the network and achieve high data throughput. In previous studies , the authors proposed algorithms which assign minimum transmission range with ensuring network connectivity, but they require global information about node locations which is difficult to achieve in WSNs. Furthermore, in , a Local Minimum Spanning Tree (LMST) algorithm was proposed with less demanding solution. The authors of  analyze end-to-end connectivity with respect to deployment density of network’s nodes and provide an analytical solution. Inspired with the work of , we modified their algorithm by using a simpler mathematical approach for computing the average anguler deviation () and the next hop distance (). The modified approach reduces CH-to-CH transmission ranges and provides more conserving CH transmission power while maintaining high probability of end-to-end connectivity to the gateway. The remainder of this paper is organized as follows. 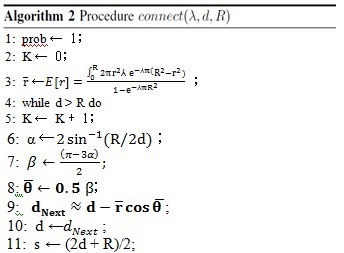 Section 2 describes the used mathematical approach for assigning the minimum transmission range. Section 3 provides numerical results and comparison of the original approach in . Finally, Section 4 concludes the paper. 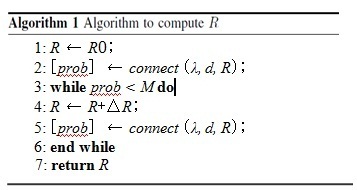 We follow the approach in  to compute the minimum transmission range by increasing R until obtaining 95% end-to-end connectivity probability (Prob) for a CH node located at a distance d from the gateway as shown in Algorithm 1. Where R0 is the initial value of R and ΔR is the range increment. The procedure (connect) returns prob, which is obtained by using algorithm 2. Hence, the probability of end-to-end connectivity to the gateway for a given CH node density λ, and a communication range R of CH-to-CH is calculated by the procedure connect as shown below. The idea of algorithm 2 in  is to get the shortest hop distance between the next hop node of A (denoted by ) and the gateway B. where, node A is originally at a distance d from node B, as shown in Figure 1(a). Hence, Region A is the intersection of B’s circular arc of radius d (X‘Y‘) with A’s circular range. Similarly, Region B is the intersection of A’s circular arc of radius d (XY) with B’s circular range. 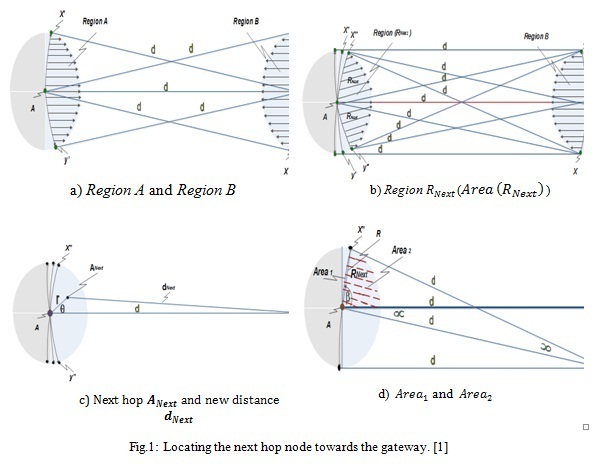 Figure 1(b), illustrates the determination of Region (denoted as Area (), in line 15 of algorithm2) within region A, to ensure that the distance dNext (which is the distance between A’s next hop and B’s previous hop) is always less than the distance d. Hence, the Region is created by the intersection of the circular arcs of radius d form points X and Y with region A (in Fig. 1(a)) at points X” and Y” respectively. where (a) is the area of triangle AX//X, and (s) is the half circumference of the triangle, (lines 11-15 of algorithm 2). As shown in Figure 2, the area has new next hops for nodes of hop number i. where this area is presented by a simple geometrical calculation as (see line19 of algorithm 2). Then, we consider the probability to find at least one node in Area Rnew to update prob (see line 20). .
For an X×X network, where ( ), the derived terms used in algorithm 2 can be accurate enough when the range R is close to the value of distance (d) which is selected by Monte Carlo simulations to obtain the minimal range R that gives a connectivity of at least 95%, for different values of node density s. Therefore, the best estimation is obtained when choosing the CH that is X/2 (d= 500m) away from the gateway for all density values . Note that λ= ps, where p is the CH selection probability. 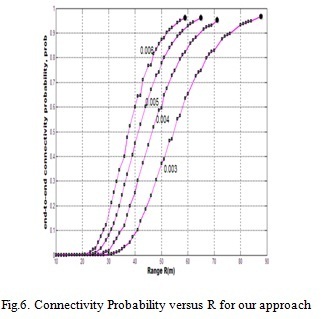 Numerical analysis was performed to find the end-to-end connectivity probability as a function of the minimum transmission range R. The analysis were done for various node density values (s =3×10-3, 4×10-3, 5×10-3, and 6×10-3). The CH selection probability p is taken as 0.1, corresponding to CH density values (λ= 3×10-4, 4×10-4, 5×10-4, and 6×10-4), whereas. 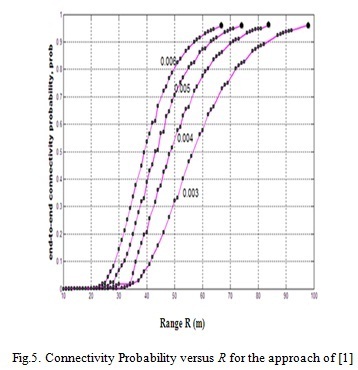 Figure 5 and Figure 6 show the connectivity probability as a function of the transmission range for the approach in  and our approach respectively. As expected, in both figures, end-to-end connectivity probability increases as the range R increases, and also it increases as the node density increases. This is because when the range or node density increases, the chance of CHs to find next hop is more, and hence, communication is more assured. Since the objective is to achieve a high end-to-end connectivity probability with a minimum transmission range, we summarized the comparison of both Figures at 95% connectivity probability for the various node density values as shown in Table 1. It is clear that our approach outperforms the approach of  by 19.40-28.56% power saving since we succeeded to assign lower minimum transmission ranges. 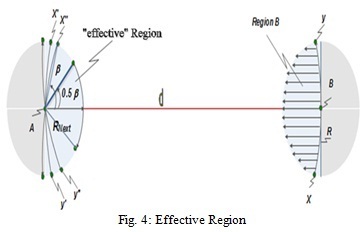 Transmission range assignment in WSNs is an important issue which affects the transmission power and connectivity of the nodes. Therefore, the ultimate goal is to maintain high connectivity probability with minimum transmission range so that energy conservation and data delivery are both achieved. in this paper, we followed a similar analytical approach given in  to assign the minimum transmission range for CH-to-CH communication with an acceptable connectivity probability. Our approach differs from the approach given in  in two different aspects: 1) we used a simpler mathematical model; 2) we maintained the same connectivity with smaller transmission ranges, which means less power consumption and hence longer life time of the nodes. In summary, the numerical results demonstrate that our proposed approach is more effective in prolonging the network lifetime. We sincerely thank our colleague Mr. Kilan M. Hussein for his help during the programming process. Serdar Vural, Pirabakaran Navaratnam, and Rahim Tafazolli ”Transmission Range Assignment for Backbone Connectivity in Clustered Wireless Networks”, IEEE Trans. Wireless Commun., Vol. 2, No. 1, pp. 46–49, Feb. 2013. Abolfazl Akbari, Neda Beikmahdavi, ”Coverage and Clustering Guarded for Wireless Sensor Network”, Int. J. Latest Trends Computing Vol. 2, No. 3, pp. 465–472, Sept., 2011. G. Chen, C. Li, M. Ye, and J. Wu, “An unequal cluster-based routing protocol in wireless sensor networks”, Springer Wireless Networks, pp. 193–207, April 2007. D. Wei, Y. Jin, S. Vural, and R. Tafazolli, “An energy-efficient clustering solution for wireless sensor networks,” IEEE Trans. Wireless Commun., Vol. 10, No. 11, pp. 1–11, September 2011. O. Younis and S. Fahmy, “HEED: a hybrid, energy-efficient, distributed clustering approach for ad hoc sensor networks,” IEEE Trans. Mobile Comput., Vol. 3, No. 9, pp. 366–379, Dec. 2004. 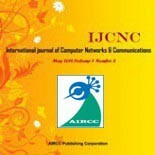 Q. Dai and J. Wu, “Computation of minimal uniform transmission range in ad hoc wireless networks,” Springer J. Cluster Comput., Vol. 8, No.2–3, pp. 127–133, 2005. R.Ramanathan and R. Hain, “Topology control of multihop wireless networks using transmit power adjustment,” IEEE Info com., Vol. 2, pp. 404–413, 2000. F. J. O. Mart´ınez, I. Stojmenovi´c, F. G. Nocetti, and J. S. Gonz´alez, “Finding minimum transmission radii for preserving connectivity and constructing minimal spanning trees in ad hoc and sensor networks,” Elsevier J. Parallel and Distributed Comput., pp. 132–141, 2005. S. Vural and E. Ekici, “On multihop distances in wireless sensor networks with random node locations,” IEEE Trans. Mobile Comput., vol. 9, no. 4, pp. 540–552, Apr. 2010. Muhammed SALAMAH received the B.S., M.S., and PhD. degrees in Electrical and Electronics Engineering from Middle East Technical University in 1988, 1990, and 1995, respectively. From 1988 to 1996, he worked as a Research Assistant and Lecturer in METU. In 1995, he worked as a visiting researcher in the Networks Department of Ecole Nationale Superieure des Telecommunications in Paris, France. Since 1996, he has been with Department of Computer Engineering at Eastern Mediterranean University, TRNC, Turkey, where he is an Assoc. Professor. He served as the Assistant Chairman of the Computer Engineering Department of EMU from 1997 to 2004; the chair of the Student Project and Design Center in EMU from 2005 to 2008; Rectorate Coordinator for Student Affairs and Informatics from 2008 to 2010; head of the Computer Engineering Department of EMU from 2010 to 2013, and since 2013 he has been serving as the Rector’s Advisor for Middle East in EMU. His current research interests are computer networks and wireless networks with emphasis on resource allocation and management, performance evaluation, multiprocessing, and hardware-oriented algorithms.